Registration for the Spring 2019 session of Sing 'N' Dance is on now. Click here for more information. Registration for the 2019-2020 dance season begins Saturday, April 13. Click here to download a complete class and tuition schedule. Laura Beglin Dance is an official TDSB partner. Click here to learn more about Laura Beglin Dance school workshops. Founded in 2006, Laura Beglin Dance seeks to foster creativity, confidence, artistic awareness, artistic appreciation, and healthy living in its students - children and young adults ages two years and up. The focus at Laura Beglin Dance is on the fundamental rather than the superficial elements of dance education. We believe what matters most is that students receive quality training in technique, and that they develop a genuine love for the art of dance. Everything else is secondary. We also believe that this type of dance education should be available to anyone. We therefore strive to keep our overhead costs low so that our fees do not become exclusive. In our society, the ability to create and appreciate art should not be restricted by socioeconomic factors. 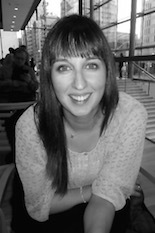 Founder and Artistic Director Laura Beglin holds a Bachelor of Arts degree in Dance from York University. She has danced competitively since the age of twelve, and has studied with some of Canada's top private dance instructors and choreographers. She has now been teaching dance and music to children ages six months to eighteen years for over 16 years, and is certified in C.P.R. and first aid by Canadian Red Cross. In addition to running Laura Beglin Dance, Laura teaches for the City of Toronto's Department of Parks, Forestry, and Recreation, as well as for various private organizations around the Greater Toronto Area.